Being the ball of anxiety that I am, I’ve developed a few grocery shopping hacks out of sheer desperation. It’s nothing against people out in the world. There are times when leaving the house at all makes my head spin to the point where I shouldn’t be driving. Thankfully, it’s becoming easier than ever for introverts, anxious people, or anyone who’d prefer to skip the trip to grocery shop from home. 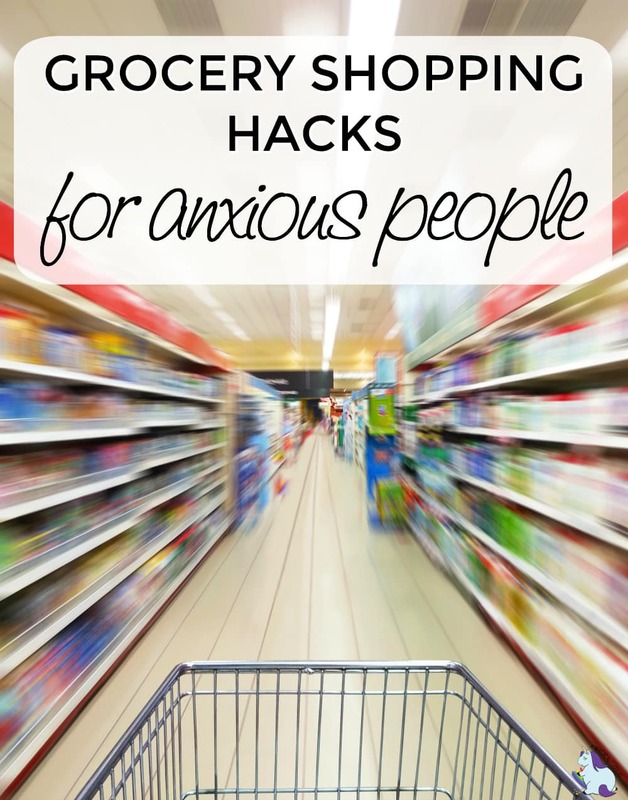 Let’s take a closer look at some grocery shopping hacks for anxious people. When you have a list, you have better focus. You can look at your list and easily make your way through the store, grabbing what you need. You’re not slowed down, trying to remember everything. When making your list, picture the store you’ll be shopping at and organize your items by aisle. This will greatly cut down the time spent in the store. Figure out the least crowded time of day at your store. For me, surprisingly, it’s usually Sunday night. I seem to miss the rush and dodge the restocking crew that’s usually there on weekday mornings. Using self-checkout can go either way. If you want to avoid small talk with the cashier, use it. If you fear you may botch the whole order and make a scene (me), go to the professionals. No matter where you live in the US, you can order at least some of your groceries online. This is one of the best grocery shopping hacks. Thanks to places like Amazon, you can order many of your pantry and household needs with just a few clicks. If you’re a Prime member, you can even use Prime Pantry to get prices that are just as good as your local grocery store and not have to buy in bulk. There is a small fee, but it’s well worth it. There’s also Jet.com, Boxed.com, and a number of other online stores that sell pantry and household goods. Places like Walmart and Mariano’s are making our lives so much easier. You can go to the Walmart website and shop your local store. You’ll then pick a time to pickup up your order. Once you arrive, you let the store know, and they’ll bring your order to the car and load the groceries. If you hate shopping in the store, this is an alternative. You’ll be able to get the same great prices without having to deal with the crowds. Peapod and Instacart are other options depending on where you live. Peapod delivers all groceries including frozen goods via truck. If you can’t answer the door, they will leave the food in an ice-packed box. Instacart is like hiring a personal shopper. A person will shop for you, texting you along the way with updates. Again, if you can’t answer the door, they will leave the bags at your door. Just be sure to tip in both cases. These two are nuclear options for me since they tend to be a bit more expensive. I look out for specials and coupons and only use when I have no other choice. ==> Get free delivery and $25 off your first order at Peapod with this link. ==> Get $10 off your first order at Instacart with this link. Regardless of your mental state, it’s good to know grocery shopping hacks. When you’re sick, it’s -20 degrees out, or you can’t think of fighting the lines two days before Christmas, you have options. Do you have any other grocery shopping hacks to share? Shopping at off hours really helps with the hoards of people that make me anxious. The self check out helps me as well since the clerks rush through checkout and I find so many items that don’t ring up like they should (stressful for me!) I only shop at a few stores in a day so as not to overwhelm.